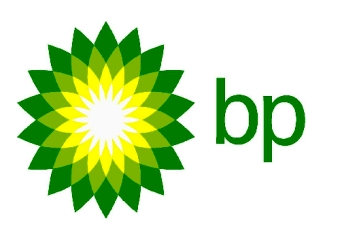 If you think BP Plc. is faring poorly after the Gulf of Mexico oil spill and its subsequent suspension from government contracts, consider this: its Pentagon contracts had already doubled since the Deepwater Horizon disaster. According to Bloomberg, BP (NYSE: BP) won $1.04 billion in Pentagon contracts in fiscal year 2010 and $2.51 billion in fiscal year 2011. In November 2012, it was suspended from further government contracts. Essentially, then the Pentagon felt the coming punishment and in the meantime, ensured a fast-tracking of BP contracts to make up for the looming suspension. Now that BP has been suspended—after two long years—who will pick up the Pentagon pace? So far, it looks like Chevron Corp (NYSE: CVX) and Royal Dutch Shell Plc. (NYSE: RDS.A) The former has won over some of BP’s contracts, and the latter is shaping up to become the Pentagon’s biggest fuel contractor—at least as of 2012. Shell’s defense department earnings are now at about $2.64 billion. (Of course, in Chevron’s case it helps that former Senator Chuck Hagel (R-Neb) has been nominated for the post of Defense Secretary. He and his wife hold up to $250,000 in Chevron common stock and Hagel himself serves on Chevron’s board. He will have to divest from Chevron and quit his post if he is to become US Defense Secretary.) This position would mean that Hagel would be in charge of defense procurement. Valero Energy Corp. of San Antonio is also picking up some of the BP slack, along with World Fuel Services Corp. of Miami. How long will they have the advantage over BP with the Pentagon? No one seems to know. The suspension is temporary and its timeline has been left open.